We locked a fisherman, a Formula One driver and an astronaut in a room and told them to design a pontoon. The result is the revolutionary Tapered Tube Technology (TTT). The unique design delivers less drag, higher speeds and better fuel economy. 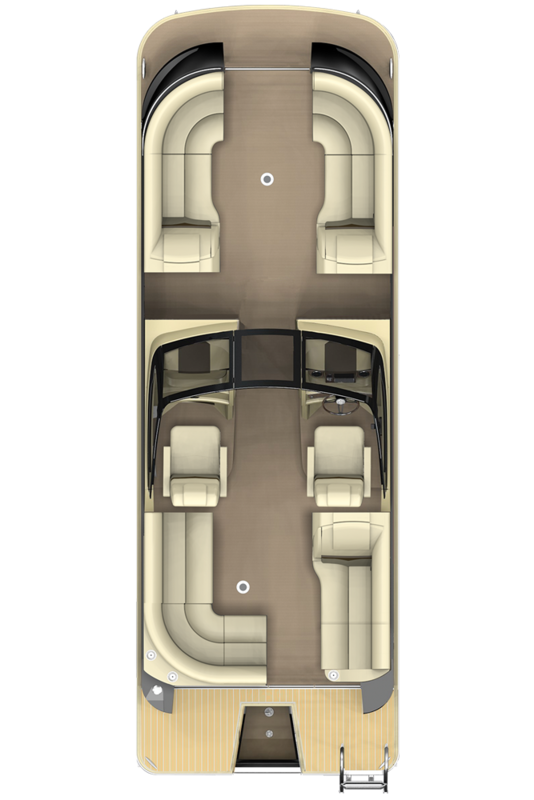 Innovation inside and out, with performance that blends the best of a runabout and pontoon. 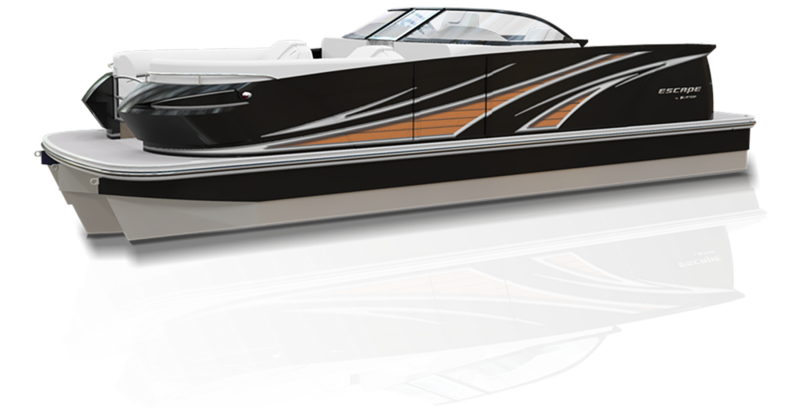 Quicker, more agile and more fuel-efficient than any pontoon in its class. 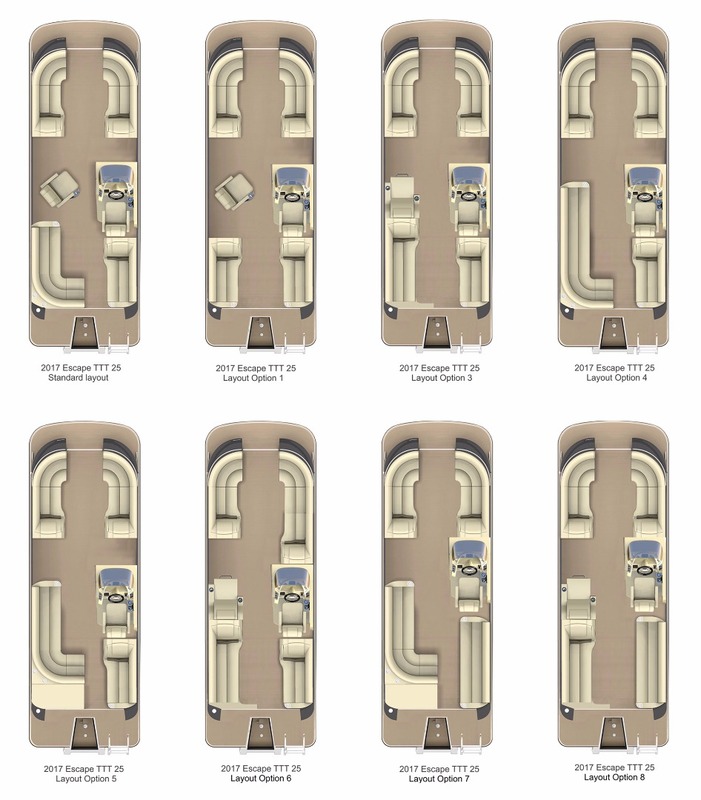 Ample seating, fresh exterior design, walkthrough accessibility at every side. Not only will the look of this TTT design blow you away, so will going from 0 to 20 in under 5 seconds. 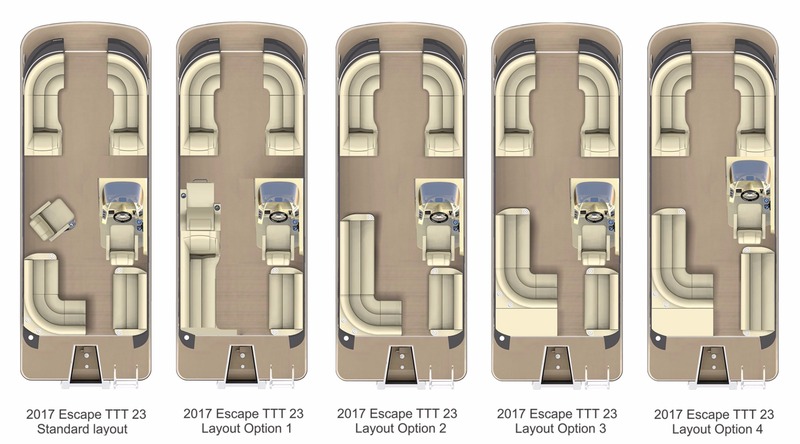 For those who live life to its fullest, and insist on only the finest, there is the Escape TTT. 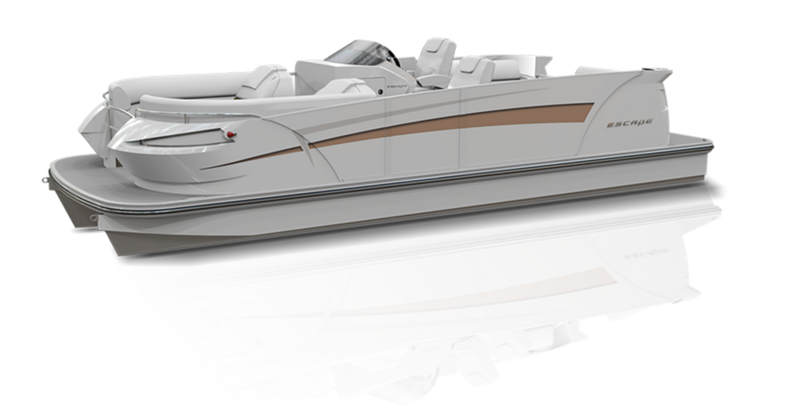 It’s the world’s only pontoon-sportboat hybrid that gets on plane fast and corners like a dream thanks to revolutionary Tapered Tube Technology. You’ve never seen or driven anything like it! 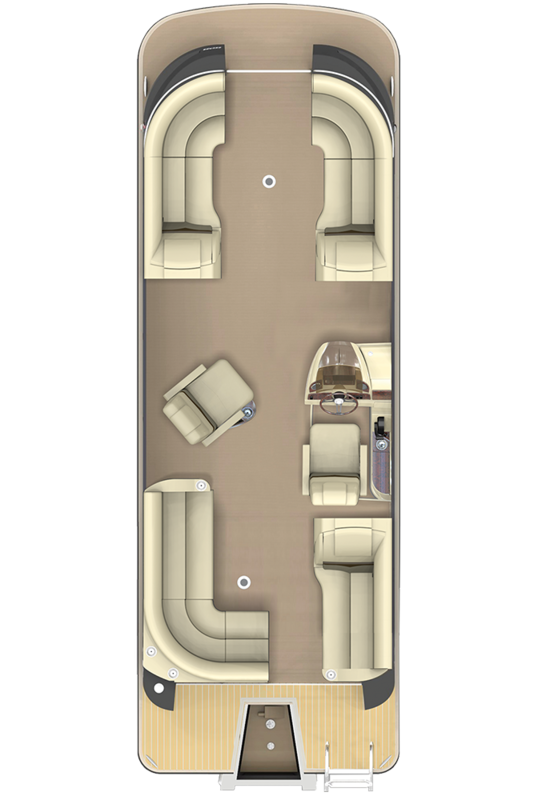 Sleek, sophisticated and distinct – especially since you can pick from a variety of floor plans to match your lifestyle needs. 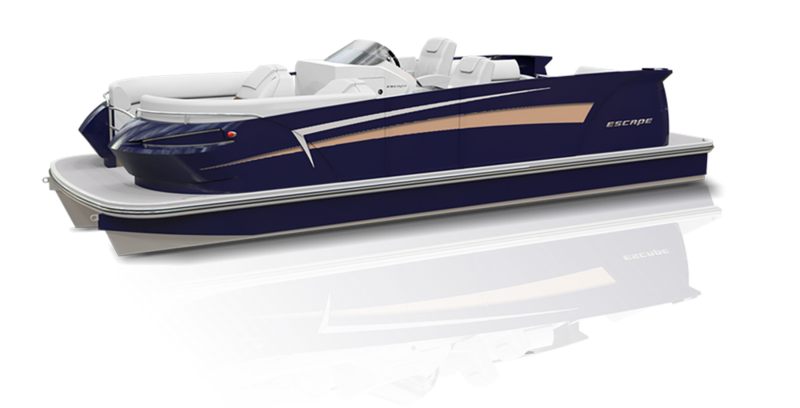 The ultimate statement for cruising, entertaining or sport. 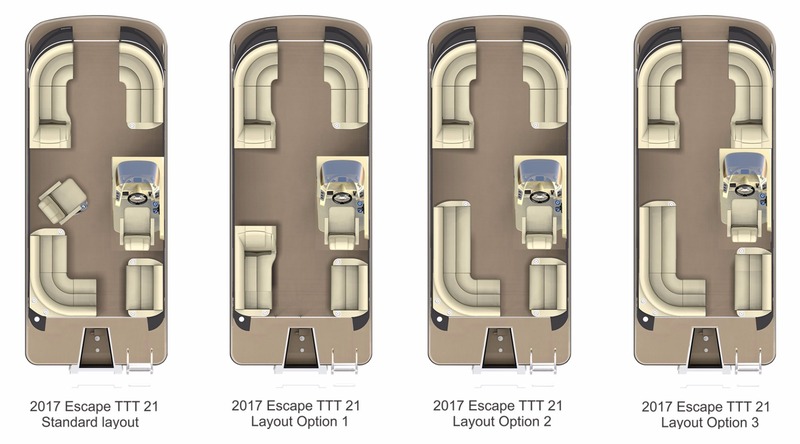 The TTT 25 combines V-hull-like performance with an innovative layout and exceptional features you won’t find elsewhere. 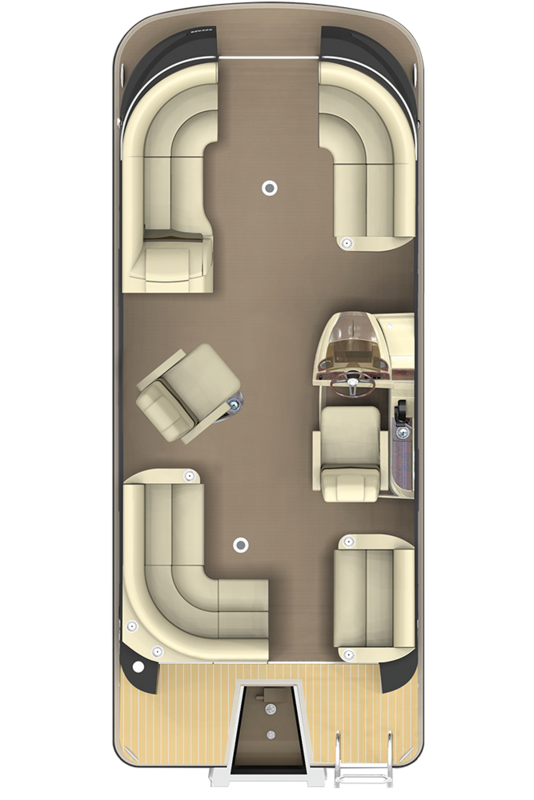 The 25 TTT DC is built for those who live life to the fullest, and insist on excellence. needs.